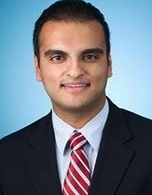 Dr. Tanuj Palvia MD is double board certified in Anesthesiology and Pain Medicine. 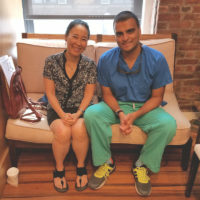 He received his medical degree from the University of North Carolina and completed his anesthesiology residency at NYU Langone Medical Center. He then completed his Interventional Pain Management Fellowship at the Center for Study and Treatment of Pain at NYU. Dr. Palvia is well trained in acute, chronic, and cancer pain management, as well as a wide range of minimally-invasive interventional and ultrasound guided techniques. He believes in an evidence-based, multidisciplinary approach with personalized treatment plans tailored to patients’ specific needs. He is dedicated to treating patients’ pain and suffering while improving their functionality and quality of life. Dr. Palvia grew up in Memphis, Tennessee, with roots in India. He is fluent in Hindi. In his free time, he enjoys spending time with his family and friends. When possible, he loves to explore everything New York City has to offer. 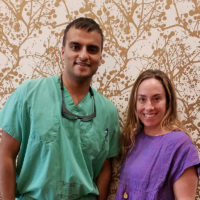 "After speaking in depth with Dr. Palvia, he offered platelet rich plasma (PRP) therapy to me. I wanted to give that option a try before going straight to surgery. I got the PRP injection done in January. As time went by, I was feeling gradual relief. Towards the end of February is when I started feeling the positive effects of the treatment. By the time April came around I felt normal again." "Dr. Palvia was instrumental in helping me lower the inflammation in my knee with cortisone shots. The injections were quick and painless. I have a significant amount of arthritis built up around my knee. The team at Physio Logic have successfully gotten my body to a point where I don’t feel nearly as much irritation as I used to. I feel so much better these last 6 months than I have in the last 2 years of my life."